In Mr. Dean Filipi's General Industrial Tech. 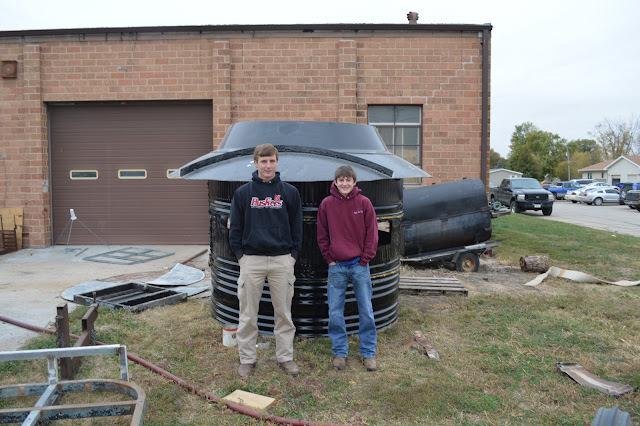 class, Nolan White and Robert Harre went green and made a deer blind out of recycled materials. The body of the blind is made of old cow tanks while the roof is an old satellite dish.